At the edge of Houston sits a community like no other: 65 petite, pastel houses inhabited by survivors of Hurricane Katrina and built by one of the most famous people in the world, Oprah Winfrey. The community, funded with $10 million of Oprah's money just a few months after Katrina, is made up of 65 families picked by nonprofit Habitat for Humanity. All pay around $400 a month in mortgage to live there. The houses are nearly identical. Their furnishings were selected by Nate Berkus, and paid for by Oprah's television sponsors. Angel Lane is not only a place, but an idea. It's the idea that people like Lynell McFarland, a 54-year-old nursing assistant, could find better work and a better life for her daughter outside New Orleans; that people like Coleen Walters could overcome the loss of her husband and home through the construction of a new one. Angel Lane is the embodiment of a theory that tragedy - like the systemic urban poverty of New Orleans, and the destruction caused by Hurricane Katrina - can turned into opportunity, that lemons can be made into lemonade. For the last 10 years, the 65 families of Angel Lane have been living proof of this idea, and proof of its severe limitations. In Oprah's Angels, on the 10th anniversary of Hurricane Katrina, reporter Peter Moskowitz brings us into the homes of the residents of Angel's Lane who have settled in Houston to find better jobs, less crime, and a new sense of identity. But the people living here also live with Katrina's continued wake - they have mental anguish, resentment over how the US government treated them, and questions about what life could have been like were it not for the man-made failures that allowed Katrina to do so much damage. Mostly, they just miss home. 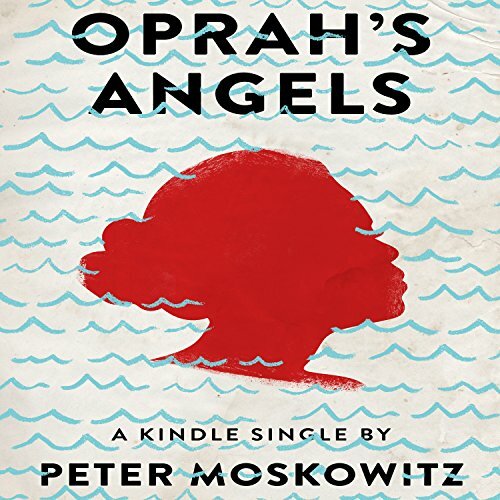 Peter Moskowitz is a writer and journalist based in Brooklyn, New York. He's written for Al Jazeera America, The Guardian, Vice, Gawker, The New Republic, and many others. He's writing a book about gentrification if four US cities: New York, San Francisco, Detroit and New Orleans. ©2015 Peter Moskowitz (P)2016 Audible, Inc.